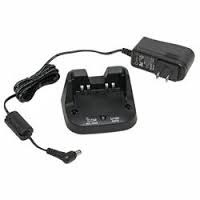 BC-202 : Desktop Rapid Charger for ICOM-style Li-ION BP-272, BP-272Li, BP-271 batteries. This Charger is an ICOM-brand product, brand new factory stock. Charges battery alone, or with the Radio attached. Safe, Smart, with Automatic shut-off. BP-272Li: 7.4 volt 2000mAh rechargeable Li-ION battery for ICOM ID-51A, ID-51A Plus, ID-31A, ID-31A Plus, ID-51E, ID-31E (D-STAR; all worldwide versions). Replaces original BP-272, BP-271. 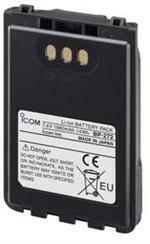 BP-272 : ICOM brand 7.4 volt 1880mAh Li-ION battery for the ICOM ID-31A and ID-51A radios. Provides extended talk time and high-watt TX capability.